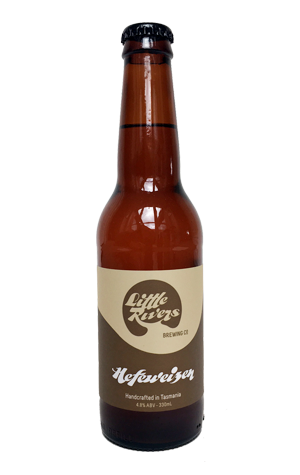 On the past visit to Tassie during which we first came across Little Rivers we mention in the main brewer write up, it was the Hefeweizen that seemed to pop up most often. Wheat beers have traditionally proved a tough sell in Australia (at least, traditional ones have – American wheats fly off the shelves) so this would appear to be one that was bucking the trend. Its Bavarian in inspiration, full-bodied with lots of candied banana and sweet, sherbety lemon aromas alongside those clove like spices, finishing dry and underpinned with biscuit malts.